There is nothing better in your local produce section right now then the citrus fruit that is available. The selection of oranges is vast, from regular navals, mandarins, tangelos, to Seville and blood oranges you can’t go wrong. Though no matter how fabulous that oranges are I always gravitate back to the table in my produce section where I have the grapefruit display. I eat it with just a light sprinkle of sugar. But recently have been experimenting with it. The Sugared Grapefruit Rind is amazing. 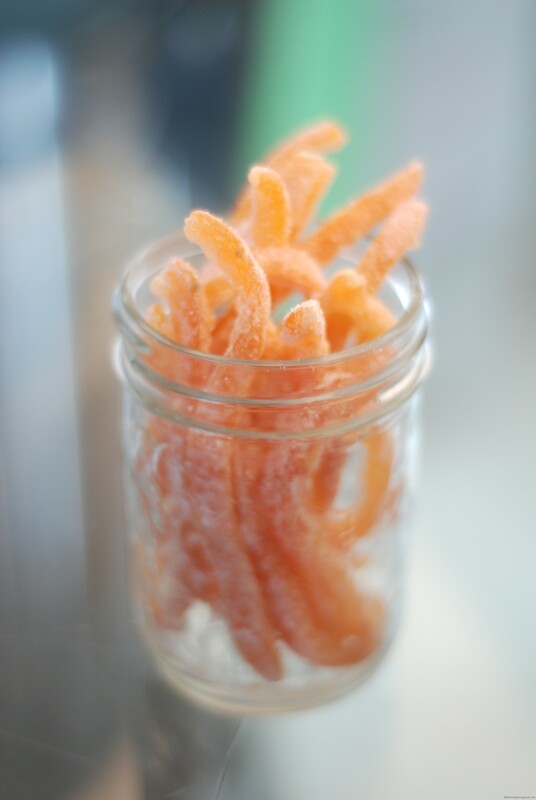 It is little strips of sweet Grapefruit love, full of fantastic grapefruit flavour. Then I thought some grapefruit curd was in order. One word. Fabulous! So then I started thinking of where I could use the curd and naturally Macarons seemed like the perfect place to use it. 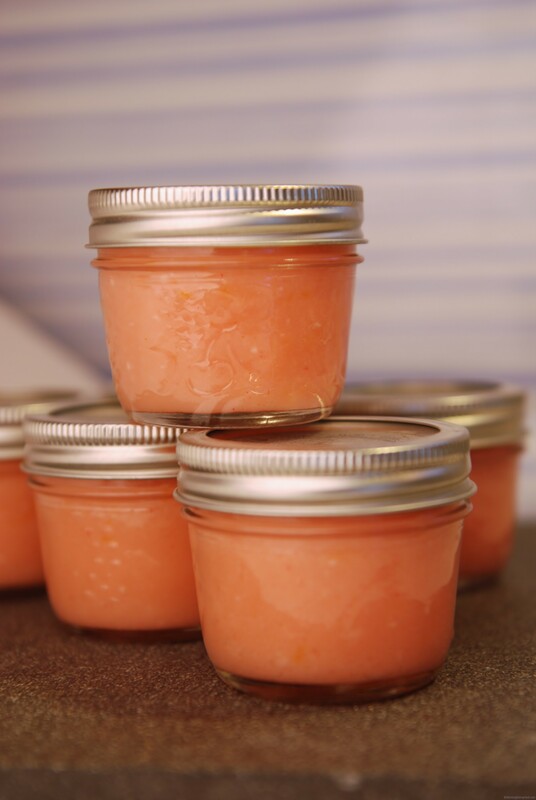 Grapefruit Curd is easy to make and using proper processing techniques you can make it for long time storage so you can always have a jar on hand. 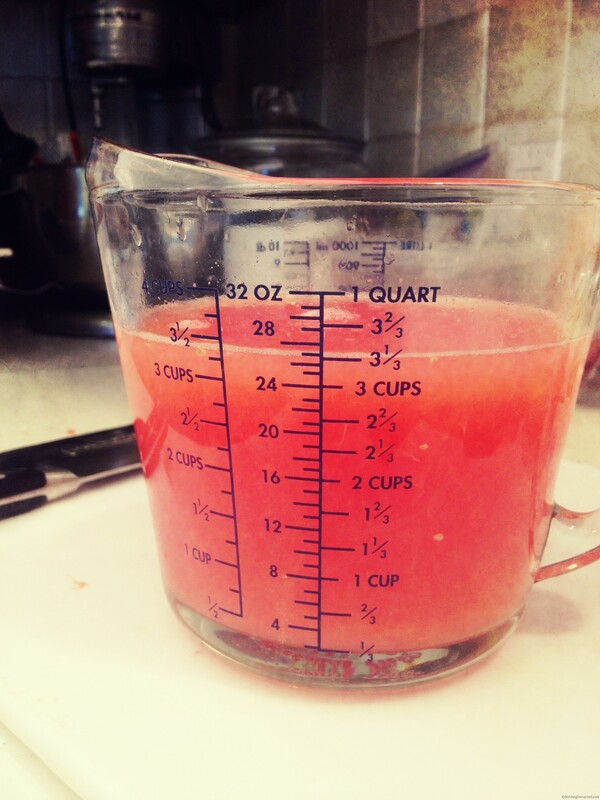 Using warm water and a tiny squirt of soap wash your grapefruit and rinse very well. 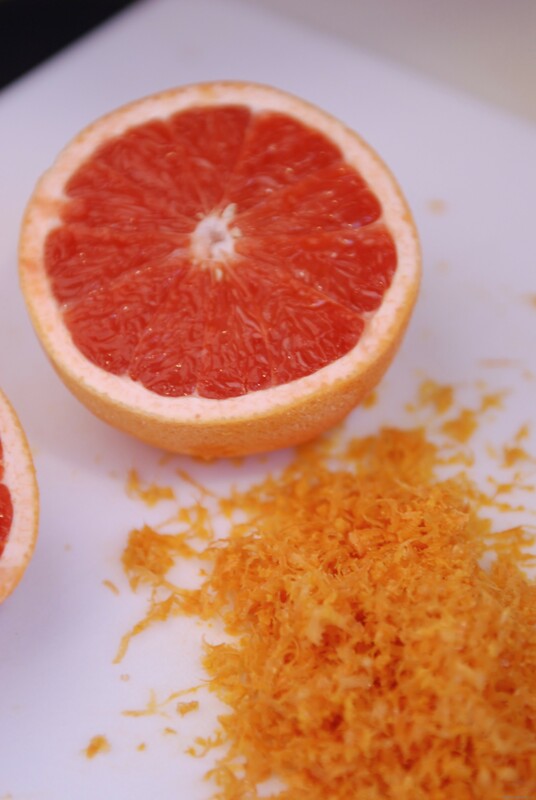 Using a microplane or the fine side of a box grater remove the zest from the grapefruit. Place the juice in a small pot an bring to a low boil. Reduce until you have 2 cups of liquid. Place a small pot half full with water on the stove on medium high heat. Place the juice, eggs and sugar in a stainless steel bowl and whisk until combined. Place the bowl on top of the simmering pot. Cook, stirring constantly until it becomes thick, about 10 minutes. Remove from heat and immediately pour through a fine strainer to remove any lumps. Cut the butter into small pieces and whisk into the mixture until the butter has melted. Add the zest and stir well. Ladle the hot curd into hot sterilized jars. Add the lids and screw bands until finger tight. You can find my step by step process for French Macarons on the site. I have tried many recipes and have found success with the recipe I have posted. 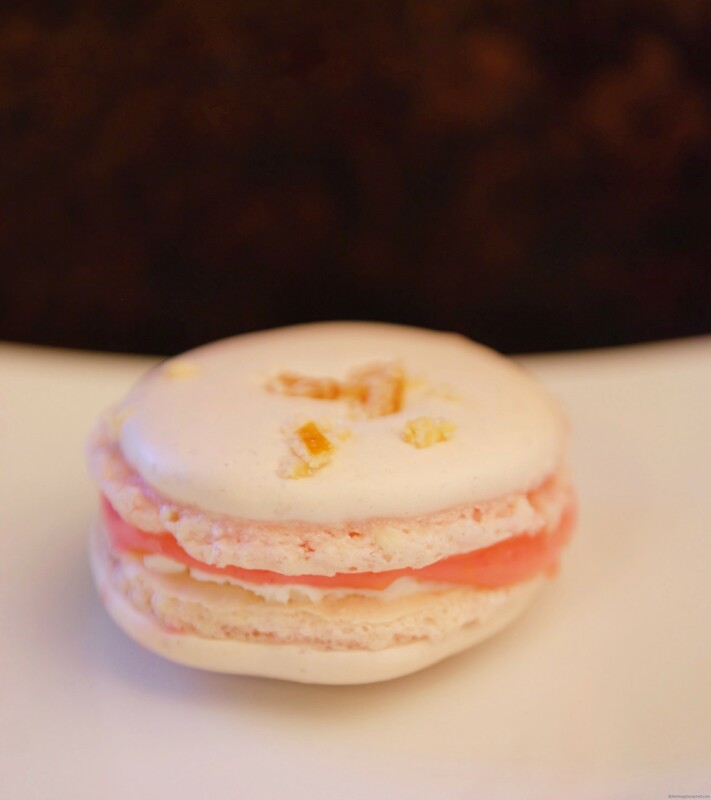 I topped the Grapefruit Macarons with pieces of the Sugared Grapefruit Rind to make it the perfect Grapefruit trifecta! If you love grapefruit you will love this curd. 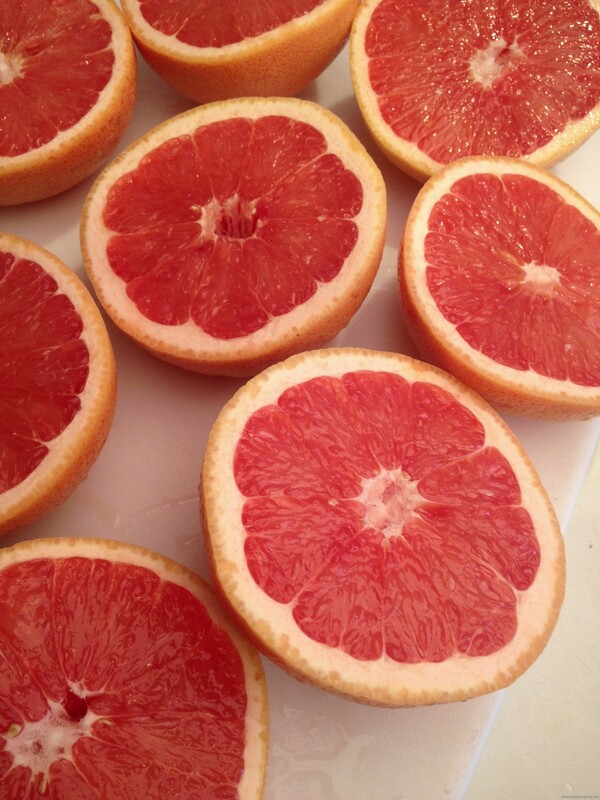 Definitely a great way to enjoy grapefruit aside from traditional methods! Such a great idea! My family has a small grapefruit obsession right now and turning some of that great winter citrus into curd is brilliant! I’ll be trying this out for sure!! Thanks for posting it! First off, the lime zest mentioned was a mistake……it should be grapefruit zest. I will go in and fix that. As for your question, I have done some reading and found that yes, it can be processed in a hot water bath and it will be shelf stable. 1) Is the lime zest a taste preference or does it add pectin for thickening or another essential purpose? I would prefer to use the grapefruit zest for an unadulterated flavour. Would that work just as well? 2) The hot water bath canning method, is this to make it shelf stable? My research has found that recipes containing eggs, seafood, meat, etc. need to be pressured canned to avoid botulism, so I’m curious if this is an exception. Thanks! I love the refreshing flavour of grapefruit and this recipe looks terrific. It is absolutely fabulous! Hope you enjoy. 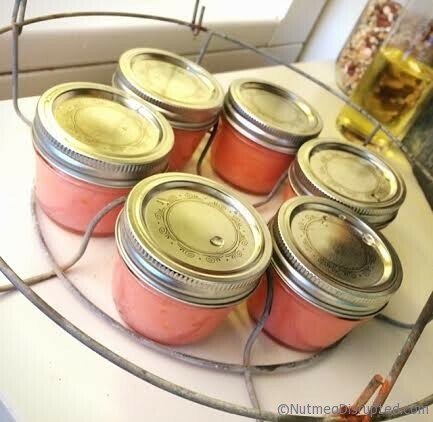 Grapefruit curd–what a great idea! I love lemon curd, so will definitely have to try this one. Thanks.